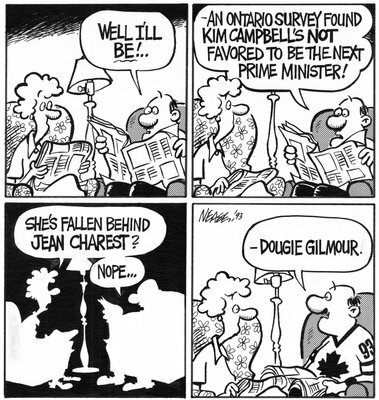 When asked if the Toronto Maple Leafs would ever stop being a source of inspiration, Nease, predictably, gave a definitive "no." 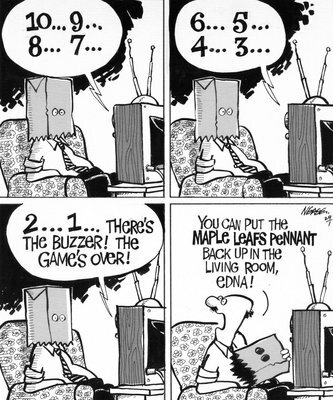 Luckily for Leafs fans, no matter how good or bad the team's season is, there will always be cathartic cartoons to accompany the emotional ups and downs that only they can understand. 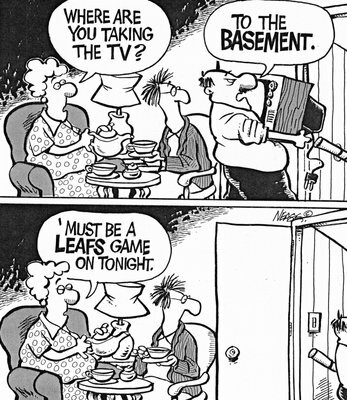 "The Leafs cartoons are very popular. 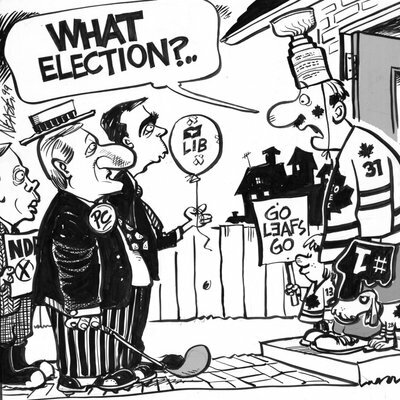 Whenever I do a Leafs cartoon, I hear back from readers - Leafs fans, generally agreeing." 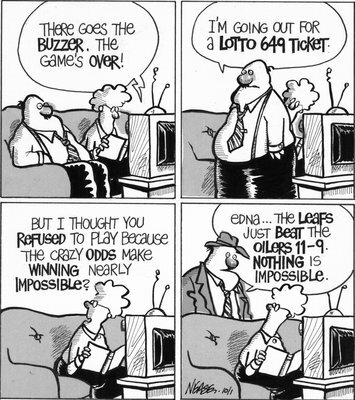 and they experience a kind of bewilderment when they're not. and yet, at the same time, they're utterly and completely embarrassed by it. 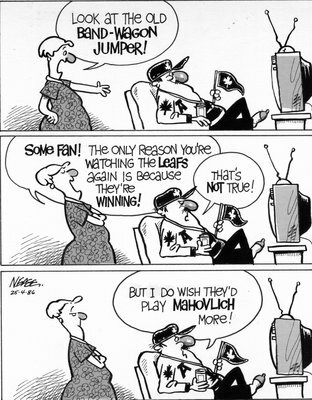 It's just not something a band-wagoner can understand.